Early Hawaii marriage records are collected at the Hawaii State Archives, the State Department of Heralth, and the Daughters of the American Revolution Library in Honolulu. State Archives records span 1826 to 1910, many of them indexed. Statewide registration of marriages began in 1842. 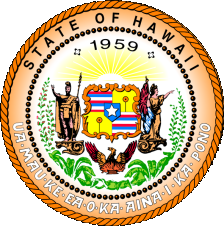 Hawaii divorce records were not recorded by the state until 1950. Divorce proceedings are recorded in circuit court records. For a fee, marriage and divorce certificates can be obtained by mail from the State Department of Health. Only cashier's checks, certified checks, or money orders are acceptable forms of payment. See the Hawaii State Department of Health for the Hawaii Vital Records website at http://hawaii.gov/health/vital-records/vital-records for additional information about obtaining certified copies of certificates. Note: Upon request, a letter of verification attesting to the existence of a requested record on file with the Department of Health may be issued. Record Access Requirements: Access to vital records is restricted by statute (HRS �338-18). After 75 years, records are considered genealogy records, but processing requests is not a priority. Direct questions to vr-info@doh.hawaii.gov. Search Note: An applicant/requestor must provide the information needed to 1) establish his/her direct and tangible interest in the record and 2) locate the desired record. Record request forms are available from the webpage. Note: The web page offers public access to the state's court systems. Record Access Requirements: A request form is available at http://hawaii.gov/ag/hcjdc/main/application_forms/i-chrc.pdf. Search Note: Submission of fingerprints is an option. Per a US DOJ Study in 2003, 99% of the records are fingerprint-supported. Search Note: There is no fee. Records are considered public information.